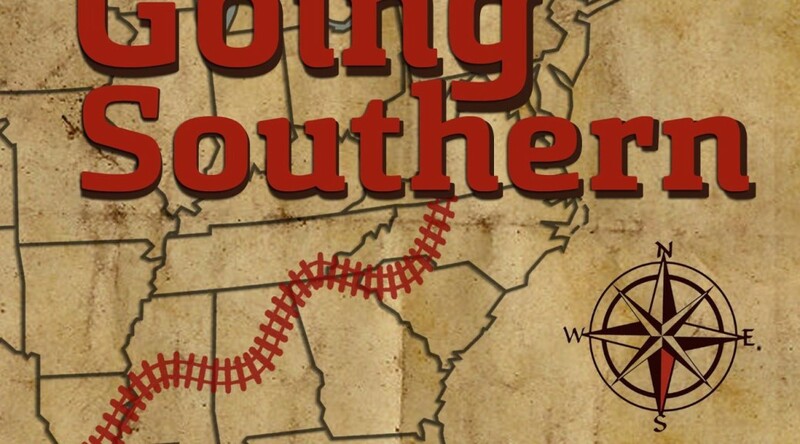 In her enormously important book, Going Southern, Deborah Levine takes the inquisitive reader deep into many aspects of life in the South, Southern culture and other things people need to know about we Southern folks. And she courageously touches on the thorny issue of race as an undeniable part of southern history. Her experiences and mine are about occasionally stepping into racial landmines, reconciliation, contrition and hope. Here’s one of my recent ones. It all started when I stepped into social media space recently and ignited a firestorm with, what many said, had racial overtones. You see, a small mom and pop store in the neighborhood I grew up in in Virginia closed a year ago after decades of operation. After some renovations, it reopened recently under new owners. Soon someone posted a video of the recent grand opening with grainy images of folks dancing, eating, drinking with bluegrass music blaring in the background. Now given that African Americans in my neighborhood supported that store for decades, I scanned that video to see if any were present. But from what I could see, there were none. That’s when I stepped in with a perhaps ill-timed comment given that the local high school had recently undergone a contentious removal of its name, Robert E. Lee, the confederate general. And further, we’re less than two years removed from the racial violence in Charlottesville and the governor getting caught in blackface while in medical school. Thus, emotions are raw in my home state lately. I get that or should have. Within minutes the backlash hit like an avalanche. It reminded me of a bag of popcorn when you place it into a microwave oven. After a minute there’s the first pop. Then a second. Then a third. Then there’s a pop, pop, pop before the gap between each pop widens until there’s one last pop. “You’re an outside agitator,” said one. “How dare you play the race card you A-HOLE,” said another (the all caps were hers). “You are nothing but a social media troll Terry,” said another. “Okay, I’m done and won’t waste any more time with you,” concluded another. For a second, I considered walking back my comment but only for a moment because, hey, I do enjoy a good skirmish every now and then. So why waste a delicious controversy. So, like two prize fighters the offended ones and I bobbed and weaved, danced and jabbed over a span of two days before the emotional “popping” came to a halt. They got their licks in and I got mine. In her book, “White Fragility; why it’s so hard for white people to talk about racism,” Robin D’Angelo defines white fragility as a state in which even a minimum amount of racial stress becomes intolerable, triggering a range of defensive moves. These moves include the outward display of emotions such as anger, fear, and guilt, and behaviors such as argumentation, silence, and leaving the stress-inducing situation. Was some, much, or all the elements of white fragility at play here? Maybe, maybe not. First, given the racial climate we live in nowadays, could I have been more judicious in the timing and my choice of words? Maybe, maybe not. Second, was merely calling out the perceived absence of people of color in that video playing the “race card,” insinuating racial exclusion. Maybe, maybe not. Third, based on this bruhaha will I suppress future impulses to step into potential racial quagmires? Maybe, maybe not, probably not. However, there ended up being some contrition on my part and on the guy who was the last to fire off a snarky shot at me. We agreed that our barb trades hindered rather than helped matters. In fact, we agreed to meet the next time I’m home …at that same neighborhood store by the way. Many Americans who identify as being ‘white’ and are invested in being white are in a stressful space in American society. I have read Robin D’Angelo’ s and believe that white fragility is real. The reactions you got from your post should be expected. Never shy away from speaking your truth. Honest communication is the only way to move forward with any chance of reconciliation.